Your gift means everything to families affected by the world's worst natural disasters and conflicts. As we get ready for Christmas here in Australia, roughly 85 million people around the world have been made homeless by natural disaster and conflict. In Indonesia, communities are still recovering from a devastating chain of earthquakes and a tsunami, which killed over a thousand people, and flattened complete communities. In Syria, where temperatures are heading well below zero, families continue to flee devastating conflict, despite having with nowhere to turn or call home. And in the Lake Chad region, around 10.7 million people are in need of relief assistance, with over 2.4 million people estimated to have been displaced. Your support this Christmas is so much more than a canvas roof overhead, or a warm blanket to wrap a child in. It’s a good night’s sleep after an endless nightmare. It’s the only home a family may have for months. But most of all, it’s the promise that the worst is over, and there’s a brighter future ahead. Your support this year provided Jeralin and Lily with emergency shelter after Tropical Storm Urduja hit the Philippines and destroyed their homes. Ready to play host this Christmas? This Christmas we are asking you to come together for shelter. And what better way to do so than over a traditional Aussie BBQ! 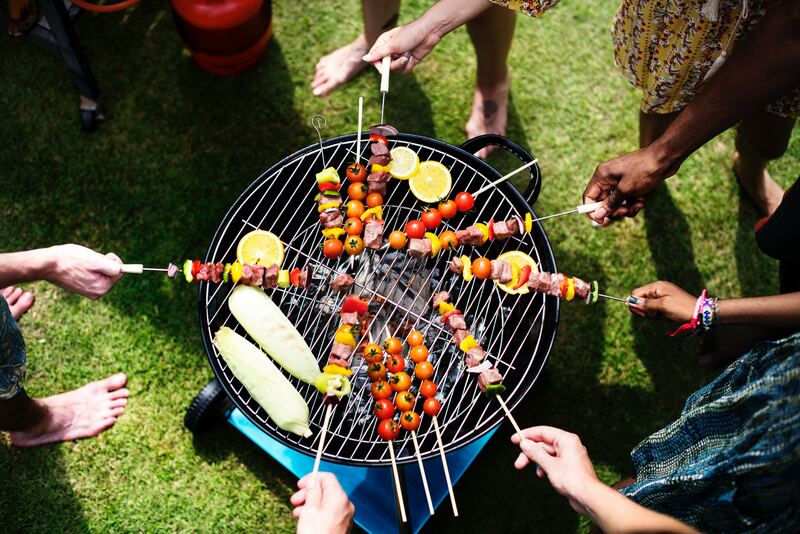 Our Shine for ShelterBox BBQ is the perfect way to celebrate the end of the year with your closest friends and family, as well as playing a major role in helping us provide emergency shelter and support to disaster-stricken families around the world. And don’t worry! Arranging a ShelterBox BBQ is quick, easy and hassle-free — just how a classic Aussie BBQ should be! Your support this year made sure Fatnizar, her husband and four children had somewhere safe to sleep, eat and drink when their home was destroyed by an earthquake and tsunami. When people are plunged into crisis, normality is suspended and life is put on hold. But at ShelterBox, we believe good quality shelter can cut through the chaos and provide a sense of belonging, safety and togetherness. Thanks to your incredible support this year, we have been able to provide tens of thousands of families with emergency shelter, tools and aid, to help them rebuild their lives and regain a sense of normality after disaster. From us to you, thank you for supporting our mission and giving hope to families around the world, most in need.